As Catholic Christians we believe that God exists, that God made us, and that all human beings are God's beloved children. We follow the example and teachings of Jesus, a Jewish man from Nazareth in Israel-Palestine, who lived 2,000 years ago. We believe that he died and rose again from the dead, because as well as being fully human, he is also the Son of God. We believe that there is only one God, but that within God there are three distinct identities which we call 'persons'; God the Father, God the Son, and God the Holy Spirit. These persons are united so closely with one another in what we call the 'Holy Trinity' that we can still proclaim that we believe in one God. Over millennia God has spoken to his/her people, and God's interactions with humanity are recorded in the collection of Holy Scriptures that we call the Bible. The first section of these sacred texts we call the Old or First Testament, and these are the divinely-inspired writings of the Jewish people's interactions with God. The second section we call the New Testament, which consists of the Gospel accounts of Jesus' life and teachings, plus the letters and reflections of his early followers. Jesus proclaimed that God loves all of us as a good father loves his children. Jesus preached about God's vision for how the world should be, which he called the 'Kingdom' or 'Reign' of God. Jesus taught by his words and showed by his actions how human beings should love God, and our neighbours as ourselves, turning away from sin and selfishness. 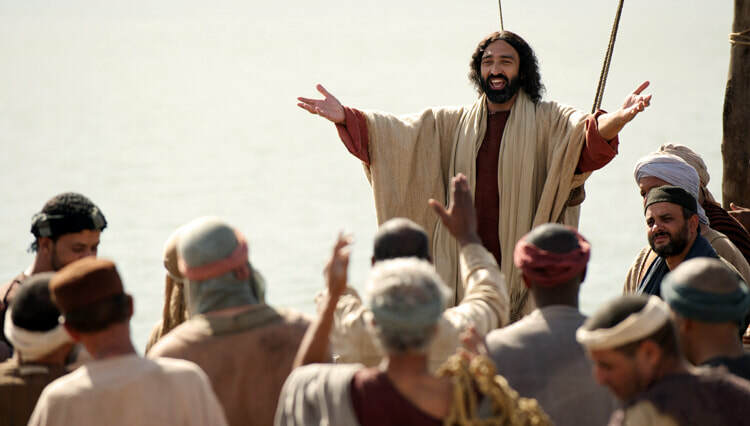 Jesus taught that God cares specially about the treatment of the poor, the hungry, the sick, foreigners, prisoners, and the socially-marginalised. Jesus taught his followers ('disciples') to show outstanding care and concern for one another, offering forgiveness and compassion. Jesus challenged the religious authorities of his day who were often more concerned with keeping the minutiae of religious regulations than caring for God and one another from their hearts. For this reason the religious authorities had Jesus arrested and, although he had committed no crime, he was sentenced to death by the Roman governor. In his willingness to die, Jesus showed that he was ready to give everything he had - even his own life - to demonstrate how passionately God loves humanity. Three days after his death Jesus rose from the tomb, and assures us that death is not our final end. Through the death and resurrection of Jesus we have been restored to full friendship with God, and we can look forward to eternity with God in heaven. To help his followers live in a way pleasing to God, Jesus gives us himself as nourishment. At the 'Last Supper' the night before he died, Jesus shared a ritual meal in which he took bread and wine, gave it to his followers, and said "This is my body, this is my blood, do this in memory of me." Ever since, Christians have celebrated the Eucharist (also known as Mass or Holy Communion), receiving the body and blood of Jesus to make us part of his body, the Church. After his resurrection from the dead, Jesus ascended to his Father in heaven, but promised to send the Holy Spirit on his followers to empower them; the Holy Spirit is what gives life to the whole world. We encounter the Holy Spirit in a particularly powerful way when we use certain ordinary things as symbols of God's action in our lives, which we call the Sacraments. The Church is the community of those who believe in Jesus. It consists of all those people, living and dead, who have sought to place God's love at the centre of their lives. These people are known as 'saints' (holy ones). The saints who are with God in heaven pray for the saints now living on earth. Pre-eminent among the saints are Mary, the Mother of Jesus, and her husband Joseph, after whom our parishes in Acomb and Green Hammerton are named. The Church is made up of sinners, trying to be saints. Sometimes the Church has failed to live up to its high calling, and often its members have been divided among themselves. Every day we strive afresh to live as God wants us to, which is the ultimate source of meaning and happiness in life. We Catholics are ordinary people invited to live an extraordinary relationship with God, especially through our worship and prayer, and through our practical service of God whose presence we encounter in other people around us. We strive to live up to the teachings of Jesus every day, and we come together regularly as a Church community to worship God and encourage one another in our Christian living. There is nothing more worthwhile and exciting! Are you interested in knowing more about Jesus, and following him as a Catholic Christian? All are welcome to come along to the parish's 'Following Jesus' course, which is part of the enquiry process known as the Rite of Christian Initiation of Adults (RCIA). If you want to know more about the Catholic Faith, you can also contact the parish office, or consult the resources listed below.